BAGHDAD: A few steps from Baghdad’s cultural heart and its famous book market on Al-Mutanabi Street lies the Iraqi capital’s latest tourist attraction: a war museum glorifying the sacrifices of thousands of mainly Shiite militiamen who died fighting the Daesh group. 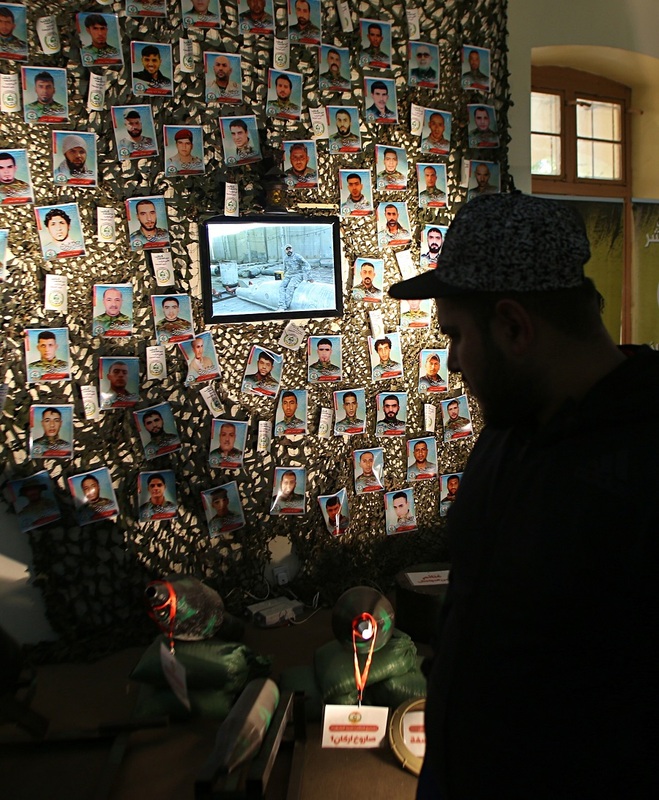 The museum is meant to honor the fallen but it also underscores the Iran-backed militias’ growing clout in the country. Their political and military might soared after they helped the government defeat Daesh — so much so that they are now accused by some of seeking to build a parallel state within Iraq. Housed inside Baghdad’s historic, Ottoman-era Al-Qishla building, the museum displays rocket launchers, drones and cannons from the four-year fight with Daesh. Visitors can browse through the war booty and other memorabilia from the front lines, as well as personal belongings fighters left behind on battlefields across the country. The mainly Shiite militias — known collectively as the Popular Mobilization Forces, or “Hashed Al-Shaabi” in Arabic — emerged following a call in June 2014 by Iraq’s top Shiite cleric, Grand Ayatollah Ali Al-Sistani, for volunteers to fight against Daesh. At the time, Daesh militants had overrun the northern city of Mosul, Iraq’s second-largest, and much of northern and western Iraq, coming dangerously close to Baghdad and Shiite shrines farther south as Iraq’s military and security forces collapsed in the face of the onslaught. Tens of thousands heeded the cleric’s call, enlisting in multiple militia factions, many of which had existed for years and even fought American forces in Iraq. Sanctioned by the Iraqi government, the militias played a key role in the war against Daesh. That made the Iran-backed militiamen an indirect ally to the American forces, who returned to Iraq in 2014 at the invitation of the government to help battle Daesh. A US-led coalition provided crucial air support as Iraqi forces regrouped and drove Daesh out in a costly campaign. That kind of popular aura has helped enshrine the militias as a major political and paramilitary player in post-Daesh Iraq. Militia factions are present in almost every Iraqi province, in many cases deeply embedded in local governance and rivaling state institutions. Posters of dead fighters adorn shop windows in Baghdad and elsewhere. In 2018 parliamentary elections — the first after the victory over Daesh — the militias’ coalition won 48 seats, making it the second-largest bloc in Parliament and guaranteeing the militias a say in formal politics. Under the new budget, militiamen are for the first time being paid the same salaries as soldiers. They pose for photos next to two mannequins, one depicting a bearded militant in Daesh black uniform, a knife protruding from his abdomen, lying on the ground. The other, a militiaman towering over the body, has his boot pressed against the militant’s head. “This is the fate of every Daesh traitor in the land of the prophets in the great Iraq,” reads the sign next to the exhibit, referring to Daesh by the group’s Arabic acronym. Is China taking social monitoring too far?